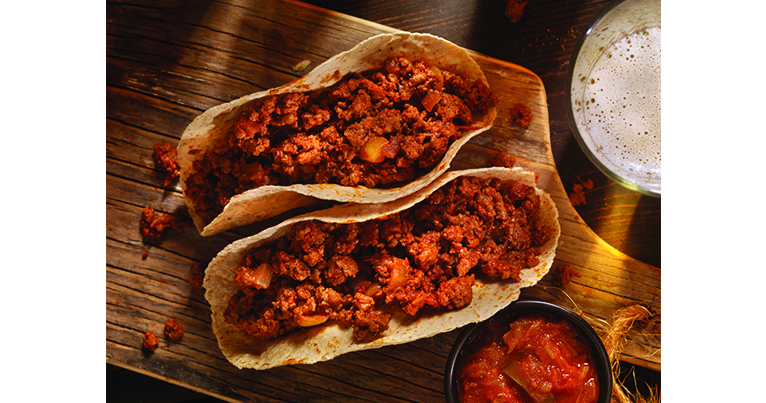 Taco simmering sauce is a decidedly seasoned blend of ground tomatoes, spices and herbs that is intended to be added to hamburger or other meat of choice while cooking. Taco simmering sauce is prepared from fresh tomatoes that have been washed and hand sorted for quality prior to grinding. The ground tomato ingredient gives this product a somewhat coarse texture that is accented with bits of herbs and spices.